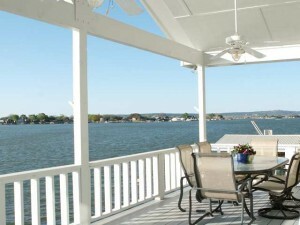 Selling your home on Lake LBJ in todayâ€™s market is not an easy task. There are hundreds of Realtors out there that want your business but lack the creativity, experience, and passion to deliver the results you deserve. At The Carvajal Group we are constantly looking for better ways to serve our clients. We use technology and innovation to drive property exposure but we also use â€œold schoolâ€ tactics that have been around for years and have proven successful. We value our relationships with other brokers in our market and believe those relationships can be leveraged for the benefit of our clients. With over 10 years experience selling luxury property, our ability is second to none. Want to know more?Check out our Lake LBJ blog. Our drive and passion set us apart from the competition! We get excited when our phone rings and we get a rush each time an offer on one of our listings is submitted; we live to please our clients! That drive and passion propels us to be innovative and to never stagnate. We are not comfortable in our set ways but are constantly looking for opportunities to learn and grow. If there is a better way to sell real estate we want to find it and we will. We do not follow trends; we set them! You should never choose a real estate broker to sell your home based solely on their website (although ours is the best). What I ask is that you give me the opportunity to meet with you and show you how I can get you the largest amount of money, in the least amount of time, with the fewest hassles. Let me share my passion with you!